It’s almost at the end. At least the filming process is and it has taken a while to complete. I aim to get one more shooting day in and then the final compiling together of all the strands. I have loved filming in this particular part of Britain, on the border between East Sussex and Kent, down on the south coast and running about the Romney Marshes. It is another world, unique and of it’s own. Also we have been very lucky with the weather on the days we have been filming, although we have had a range different conditions and temperatures, including mist, sunshine and frost. It has been a most unusual winter. 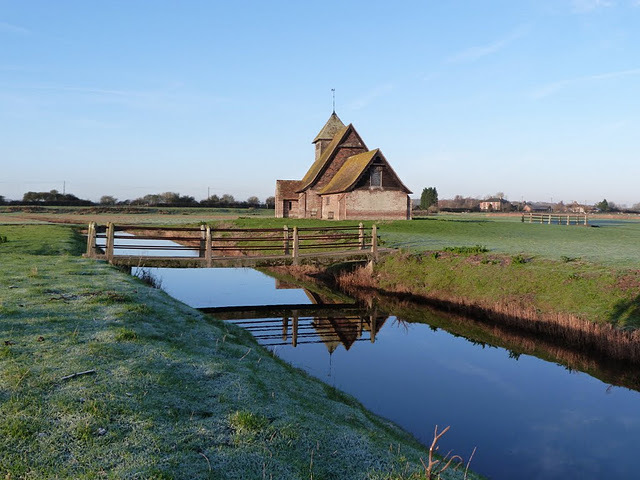 One of my favourite locations was at the deserted church at Fairfield, near Brooklands on the Romney Marshes. Originally a village, now gone leaving this renovated and completely isolated church amongst the drainage ditches with little bridges crossing beside it. Although away from the maddening crowd, (isn’t everything on the Romney Marshes? ), amazingly there are still services held at this remarkable church. 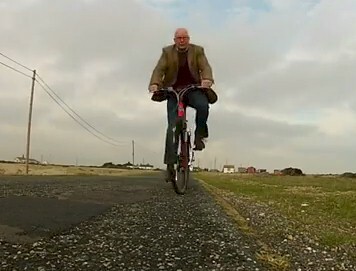 Another new aspect of this episode of the Bald Explorer was the introduction of the bicycle. Of course being so flat this expanse of Kent was perfect for zipping along under peddle power. From the power station and lighthouses at Dungeness to the road adjacent to the Royal Military Canal or encircling the Martello Towers or even along the Dymchurch barrier, the bicycle has been a marvelous device for getting the Bald explorer about. Exploring Rye was a dream. 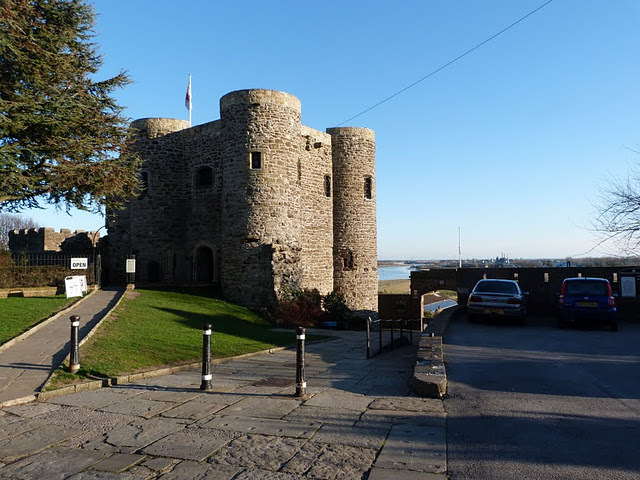 The little town that is locked in time with its Landgate, Ypres Tower and Mermaid Inn. There was so much more to see and discover but as usual there wasn’t enough time in the one episode to fit it all in. I will definitely have to come back and shoot another programme there. The old defensive fort which goes under many names from Ypres Tower to the Rye Museum. With luck, one final day on location shooting should finish off this part of the production and then with all the computer graphics, maps and photographs all designed and produced we should be almost there to release the third adventure on the Bald Explorer to the waiting public. I do hope people will like it and forgive any errors made along the way.